Oh, no, you broke your iPad screen! The good news: it can be easily fixed, usually for less than a quarter of replacing it with a new one. But now, you’re looking for pricing on getting your iPad back to new, no problem! Use our handy table below to help you find our what generation iPad you have along with the cost of replacing the screen. If you need any help, give us a call or swing into any of our locations to have a Repair Tech help you. 1. 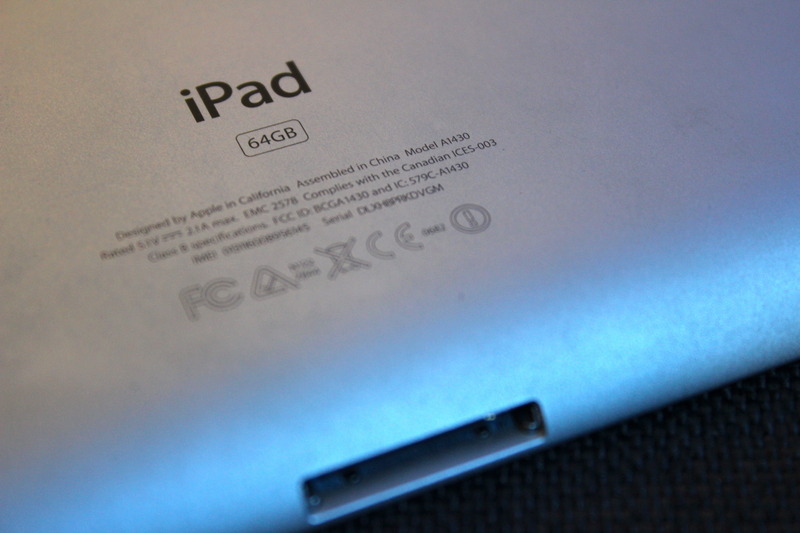 Look at the back of your iPad, pictured below. 2. Under where it says “iPad” you’ll see very small text. 4. Take the model and match it up in the table below. Now you know what model and the price to get it repaired! A1337 (Wi-Fi + cellular version) N/A. A1397 or A1396 (Wi-Fi + cellular versions) $75. A1430 or A1403 (Wi-Fi + cellular versions) $75. A1459 or A1460 (Wi-Fi + cellular versions) $75. A1475 (Wi-Fi + cellular version) $100. A1567 (Wi-Fi + cellular versions) $190. A1454 or A1455 (Wi-Fi + cellular versions) $90. A1490 (Wi-Fi + cellular version) $90. A1600 (Wi-Fi + cellular version) $125. A1550 (Wi-Fi + cellular version) $175. A1652 (Wi-Fi + cellular version) $225. A1674 or A1675 (Wi-Fi + cellular version) $175. A1823 (Wi-Fi + cellular version) $125. A1709 (Wi-Fi + cellular version) $225. A1671 (Wi-Fi + cellular version) Call. A1954 (Wi-Fi + cellular) $125. A2013 or A1934 (Wi-Fi + cellular) CALL. A2014 or A1895 (Wi-Fi + cellular) Call.